So proud to see the wonderful turnout of all the sections on Sunday – it says so much about our young people who came to remember the sacrifices of others. I’m sure it helps to make the long hours that the leaders put in to running the activities throughout the year seem worthwhile. Thanks also to the parents for helping to make it happen. There are always debates about whether Scouts should still dress up in smart uniforms and go on parades such as Remembrance Sunday or St George’s Day. I think in this case the young people have voted with their feet – literally. 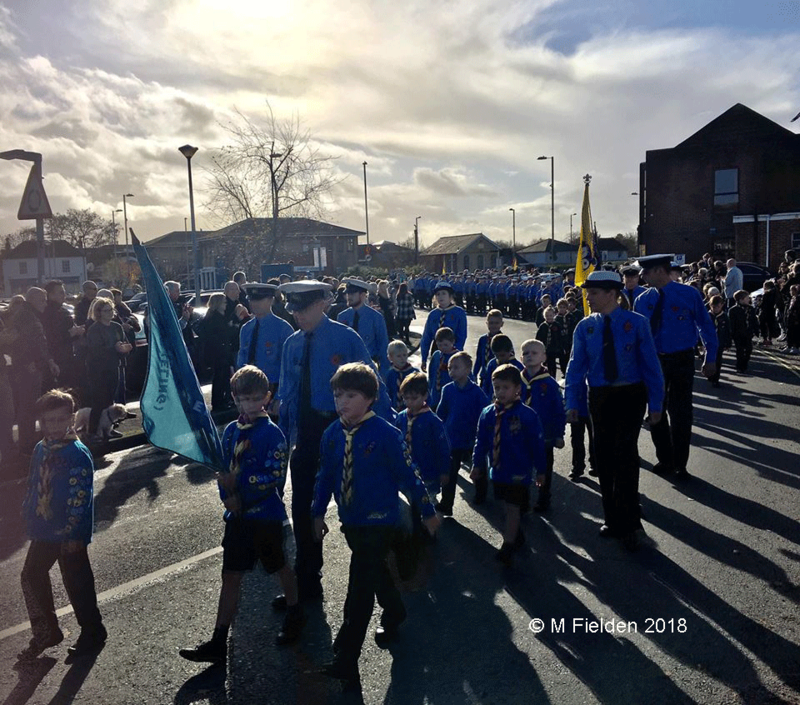 And it does have an impact on those watching – we started to receive enquiries about young people joining only minutes after the parade ended.